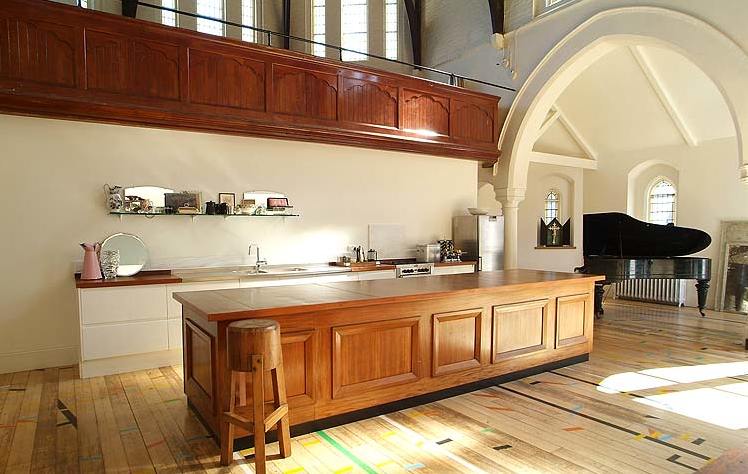 I've seen a church converted into a home once before but when I saw these images, I fell in love all over again. The wide open floor plan, the floor to ceiling windows, the flood of natural light, and the beautifully preserved character of the space are what my dreams are made of. Do you love it, too? Wow! That's amazing. So much character, it's just gorgeous. Absolutely stunning! I would love to just move right in. Do you happen to know where its located? so gorgeous. I've seen others try to do this and it ends up dark and dreary- this is "heavenly"
WOW that is some home! I love so many of the details in it. wow, they did a beautiful job! love it! This is inspiring. I just moved into a new home this weekend and also just came across your blog. Lovely! And good timing as I am putting on my decorating hat. 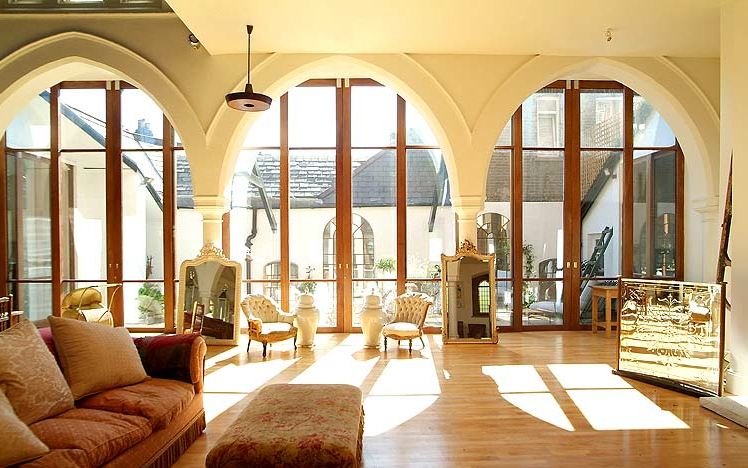 This reminds me of the converted church in New York. So neat what some people come up with! 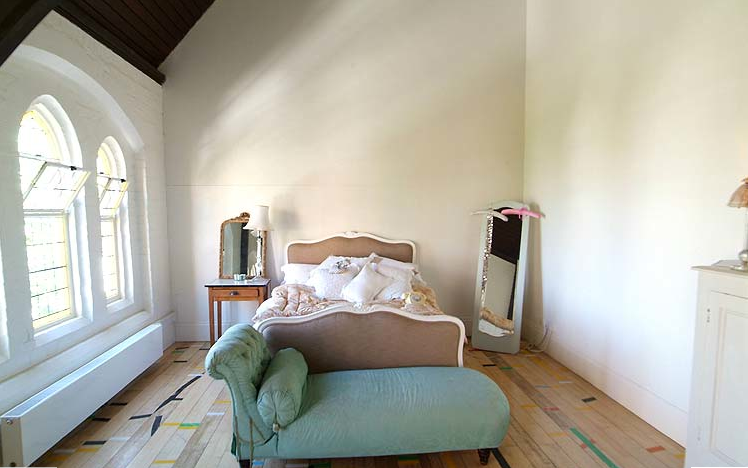 I love the last photo, with the chaise at the foot of the bed. I never would have thought of doing that! 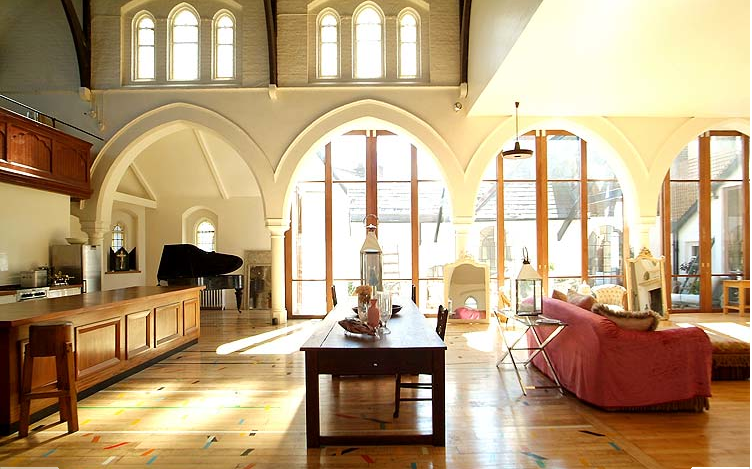 We almost bought a converted church last year when we were house hunting. It was gorgeous but needed SO much work and was already at the top of our budget. This one is so pretty with all of the light. 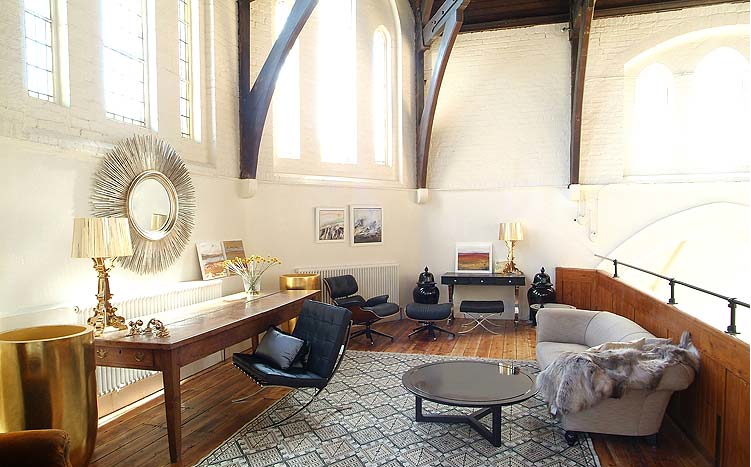 I've seen church conversions before but this is fabulous. 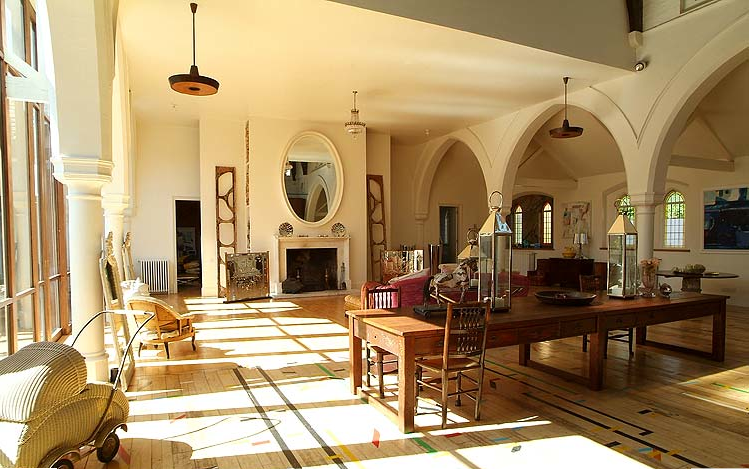 I can easily see working in the old choir loft - what a wonderful space. 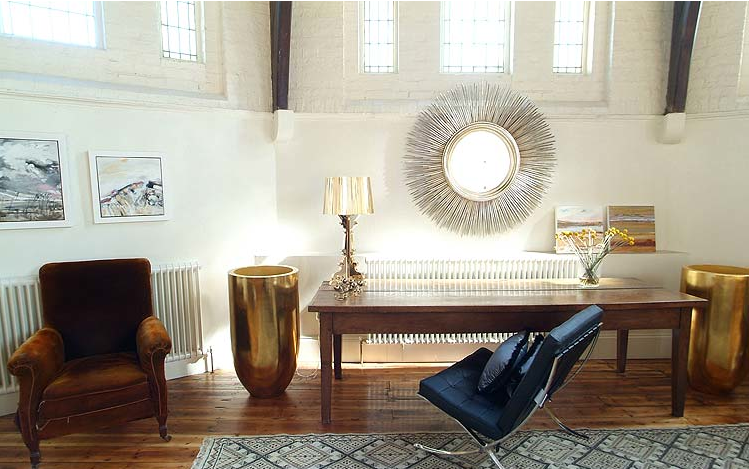 What heavenly decor (do forgive me, I couldn't resist slipping in a pun), I am awestruck by the wondrous light and gorgeous design in this inventive and deeply lovely home. Thank you for showcasing it, my dear. Oh the scale of the place is tremendous. And the sunlight sculpted by the windows. And that glimpse of the beautiful pram. I don't think I have ever been so in love with a space before. this is AMAZING! In love. In love. In love. I want to live here! I'm in love with the space. I recently came across photos of another renovated church home and the owners put the bed on the alter. I'm not sure if I'd want my bed on stage! This is an incredible transformation. So light and so beautiful. Great post. It's GORGEOUS! 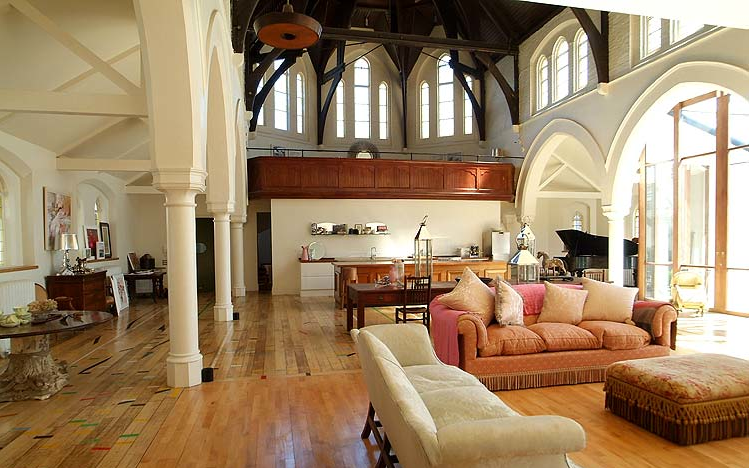 This is the first time I've seen a church converted into a home and I love the effect. . . .breath taking. I LOVE your blog! Thanks for leading me here. The church is, of course, absolutely fantastic. In the NY Times Real Estate section right now, they are also posting a former Sanitarium (in England, I believe) that rocks.